William Shakespeare is one of the greatest writers in literary history if not the single greatest. His plays have been studied by students and academics of nearly every level and age. They have been the basis for countless dramas and comedies churned out by Hollywood’s major name studios through the ages. Throughout it all, there has remained one lingering question underlying all of Shakespeare’s credits. That question is who really wrote the plays that have been so timeless? The question of authorship has beguiled authors, critics, academics, and readers in general for many years. Now thanks to PBS this discussion has been put into a whole new light in the new documentary, Last Will. & Testament. This documentary is one that will interest anyone that has ever had any interest in the works of Shakespeare because of the new light given to the discussion. Not only does it discuss who really crafted Shakespeare’s plays, but who the legendary bard might have actually been. The two arguments are combined with acting equal to that of other recent documentaries from PBS to make for one more impressive work proving the value and importance of PBS. Last Will. & Testament is one of the most documentaries on William Shakespeare and his plays in many years. Whether or not Shakespeare was actually the man behind great plays such as Much Ado About Nothing, The Twelfth Night, and Julius Caesar, has been discussed among academic circles of every level for ages. Now PBS puts the discussion into a whole new light in this documentary. It does so through interviews with a handful of academics that specialize in the life and history of Shakespeare and his works. The most common argument that these individuals tackle is that someone other than Shakespeare wrote his plays. Not many names are thrown out. Though, it is argued indirectly that Shakespeare might have taken his plays as inspiration from another playwright. That writer’s name was Benjamin Johnson. It focuses on the relationship between the two, pointing out the similarities between the pair’s works. Even more interesting is that it is all explained in a manner simple enough for any reader of any age, making it fitting for any English course from high school through college and beyond. The discussion on who really wrote Shakespeare’s works is just the tip of the iceberg in Last Will. & Testament. From this early discussion, director Roland Emmerich (Independence Day, Stargate, The Patriot) takes viewers even deeper into the discussion, raising the topic that maybe, just maybe Shakespeare himself didn’t really exist, but that “he” was just a pen name for someone else. It goes into this discussion by explaining how a play such as Hamlet was in fact a political satire of the time. The argument is made that through such a play, a figure such as Edward Devere, the 17th Earl of Oxford was in fact Shakespeare. The argument goes on to say that Devere used the Shakespeare name so that no one in England’s hierarchy would know it was him making fun of them. It is an argument that would make sense. Had political leaders realized that a play such as this was a satire, rather than a tragedy, the bard’s acting company would have been shut down. The discussion goes into even more depth from here, even arguing that the queen herself could have been behind the plays. Anyone that is a true fan of Shakespeare’s works will find something to appreciate in these arguments. They’re not all that audiences will appreciate, either. Audiences will also appreciate the acting incorporated into the documentary. Last Will. & Testament raises some interesting points throughout the course of its near two-hour runtime. Any true aficionado of Shakespeare’s works will find plenty to discuss as long as they keep an open mind. They are the center of this documentary. But one would be remiss to ignore the acting segments tied in to the documentary. This isn’t the first time this year that PBS has presented a documentary that incorporates actual acting. And hopefully it isn’t the last, either. The addition of these segments helps to drive home the arguments being made in regards to Shakespeare’s times and how they might have affected the reality of his identity. These are expertly acted scenes that are right up there with the documentaries once crafted for the likes of History Channel. It’s the crowning touch on what could potentially be one of the year’s best documentaries. 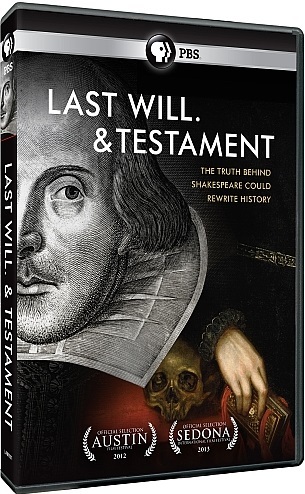 Teachers and parents can pre-order the DVD direct through PBS’ online store at http://www.shoppbs.org/product/index.jsp?productId=23500946&cp=&sr=1&kw=last+will.++testament&origkw=Last+Will.+%26amp%3B+Testament&parentPage=search. It will be available on October 15th on DVD. More information on this and other documentaries from PBS is available online at http://www.pbs.org and http://www.facebook.com/pbs. Strange. Twisted. Bizarre. Odd. Any and every one of these terms are perfectly fitting for the new documentary Room 237. The documentary, which focuses on director Stanley Kubrick’s vision of author Stephen King’s novel by the same name, has been met with relatively mixed reviews. Most of those reviews have been anything but positive. It’s easy to see just why the reactions to Room 237 would be so negative. Those that share their thoughts throughout the near two hour documentary echo the idea that Kubrick’s idea not just with The Shining but with the likes of 2001: A Space Odyssey was to make audiences think. And just as those movies make audiences think, so does this latest release from IFC Films Midnight. Yes, the ideas presented here are about as out there as those presented on History Channel’s Ancient Aliens, but in the bigger picture of things, that’s not necessarily a bad thing. In fact, as out there as they might be, they really help to illustrate Kubrick’s brilliance. Those that are familiar with Stephen King’s books (and the movies based on his books) know just how much distaste King had for Kubrick’s take on his book. But in Kubrick’s defense, his adaptation of King’s book stood quite well on its own two feet even as its own work. It stood so well that some three decades plus after its debut, conspiracy theories continue to abound over its imagery. That is where Room 237 comes into play. Fair warning to those that take the time to sit down and watch this documentary, the conspiracy theories that are bandied about throughout this program are pretty out there to say the least. There are theories about the imagery in The Shining hiding secret holding meaning about the genocide of different groups. There are crackpot theories centered on mythology, numerology and somehow even the supposed faking of the moon landing. Yes, somehow, someone even found time to link The Shining to the conspiracy theory about whether or not the moon landing even happened. These people obviously had far too much time on their hands. But that’s beside the point. In defense of the faceless conspiracy theorists, they do manage to defend their arguments, as wild as they may be. That much can be said of them even if their theories are completely out there. 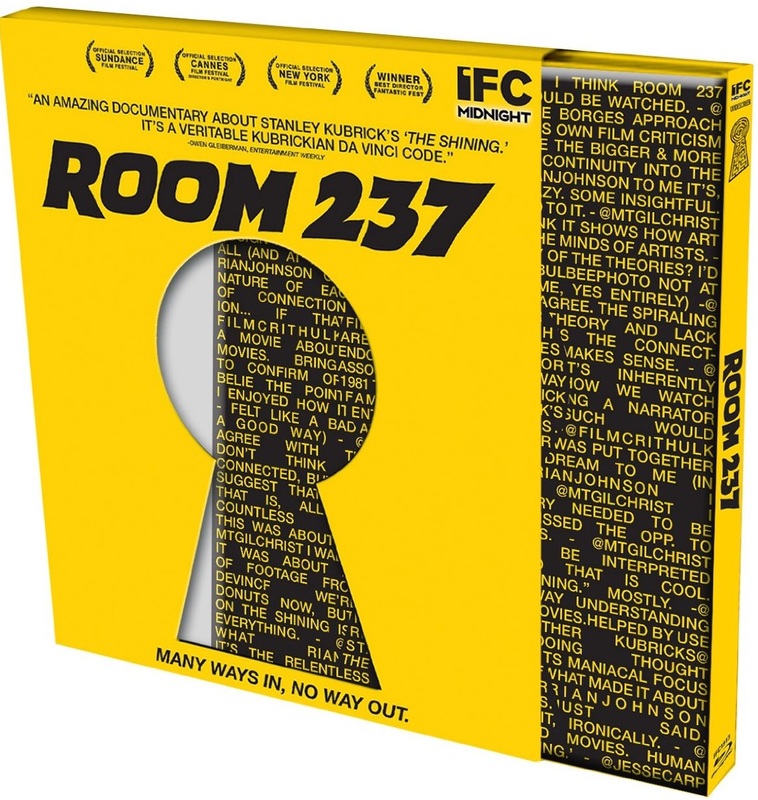 The theories thrown around throughout the course of Room 237 are definitely as out there as conspiracy theories can be. This is the case even for theories brought about from a movie. But the very fact that so many theories have been dreamed up makes an even bolder statement that audiences should consider. It makes the statement that Stanley Kubrick really was the genius that everyone said he was behind the camera. Even though he is no longer with us, it shows why he is still the respected individual today that he was today. Not many directors have an eye like he did for details. For that matter, few directors could generate so much discussion to this day. Did Kubrick really intend for people to find everything that they have found? Did he really have some hidden agenda in moving a chair or a sticker of one of the seven dwarves? And really, did he intend to send a message about Jack being sexually confused? What? It’s all in Room 237. Regardless of what one believes, the fact that Kubrick could lead so many people to come up with such wild ideas makes this a documentary entirely worth watching at least once. It is available now on DVD and Blu-ray from MPI Home Video and IFC Films. It can be ordered online via Amazon at http://www.amazon.com/Room-237-Blu-ray-Bill-Blakemore/dp/B00D6I7CSQ/ref=sr_1_3?s=movies-tv&ie=UTF8&qid=1380408584&sr=1-3&keywords=room+237. 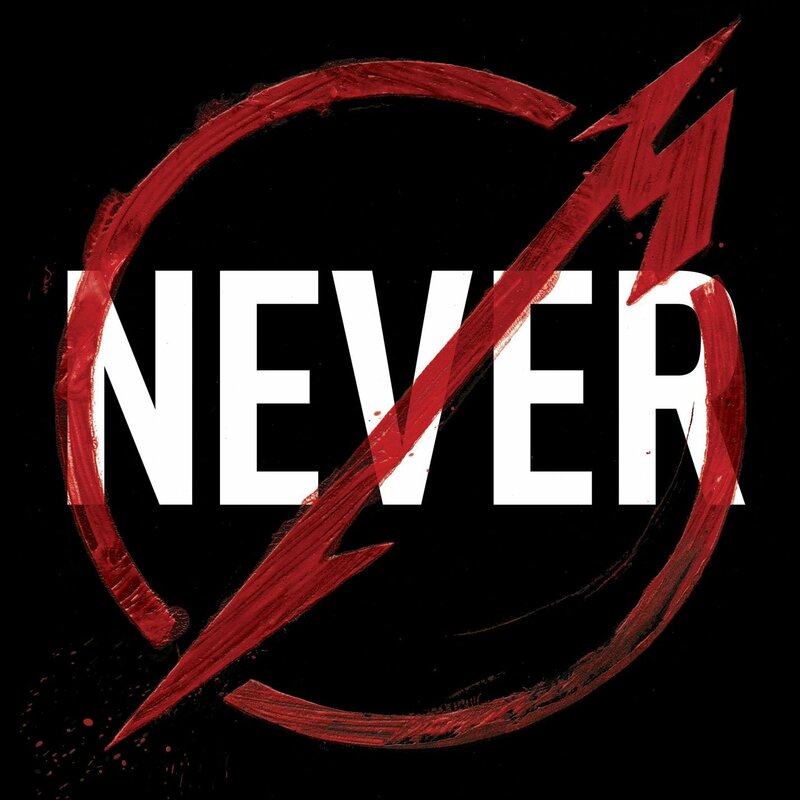 The soundtrack to veteran rock band Metallica’s new live movie/concert Through The Never is another solid live recording from the Bay area rock band. Having come only months after the release of Quebec Magnetic, it might leave some wondering if it’s worth the money. The answer is yes. This compilation of Metallica’s songs is one that fans of the band’s older material will appreciate. That’s because by and large, the songs culled for this soundtrack come more from the band’s earlier records than its more recent releases. The production values on the soundtrack are relatively solid, too. Though hearing all of the explosions throughout the performance, and the massive mechanical breakdown at the show’s end (not to spoil too much), one would definitely be inclined to find a way to experience the movie firsthand when it makes its grand debut after hearing its soundtrack. It’s all enough to make Through The Never a potential contender for a spot on the list of the year’s best new live recordings. The very first thing that audiences will notice about the soundtrack to Metallica’s Through The Never is that the band reached way back in its catalogue to set up this performance. Front man James Hetfield and company take audiences all the way back to the band’s 1983 debut record, Kill ‘Em All for its show. Audiences will love the inclusion of hits such as ‘Hit The Lights’, ‘For Whom the Bell Tolls’, Battery, and so many other classic fan favorites. That’s not to say that the band omitted its more modern hits. ‘Enter Sandman’ and ‘Nothing Else Matters’ are both there, too off of the famed “Black Album.” The band even went out on a limb and included from its 1997 album Reload, ‘Fuel’ and ‘The Memory Remains.’ Noticeably absent from the concert were any numbers from St. Anger and Load. Who made the final call on this is anyone’s guess. However, it might have been for the better, considering the mixed reaction that both of those albums received from fans and critics alike. Making a set list from a catalogue as vast as that of Metallica, it can’t be easy which songs to choose though. This is especially true considering that the band wanted to make more than just another run-of-the-mill concert documentary. Keeping this in mind, it makes the set list chosen for the show even more impressive. The set list chosen for Through The Never is sure to impress most of Metallica’s fans base, even being based heavily in its formative years. Those were the band’s best years. The set list having been taken into consideration, there’s still another factor to take into account in this live recording. That factor is the actual performance of the band members. Suffice it to say that roughly three decades after this legendary act released its debut record, Kill ‘Em All and toured behind it, not one of the band’s original trio of members has lost a single bit of steam. Guitarist/vocalist James Hetfield still commands the stage with the same swagger that he had in the band’s early days. The way that he asks the crowd in attendance, “Are you having fun yet? !” shows just how much energy and enthusiasm he has for what he does. His general interactions throughout the show continue to do so, too. And drummer Lars Ulrich’s hands and feet move just as fast as any of his much younger counterparts. This is especially evident when the band blows through ‘Battery’ and ‘One.’ It’s incredible to hear his rapid-fire playing, not missing a single beat. Even in the slightly more reserved, ‘The Memory Remains’, he shows the extent of his control and how much it adds to even that song. Kirk Hammett shows why he is still one of rock’s most respected guitarists throughout every solo and every song. Together with Former Black Label Society bassist Robert Trujillo—the band’s third bassist—the band as a whole impresses nonstop throughout all sixteen songs chosen for the performance. And since the band currently has no tour dates scheduled, this latest live release is one more wonderful way for Metallica’s legions around the world to enjoy their favorite band live once more. The concert film’s soundtrack is available now in stores and online. It can be ordered director from the official Metallica website at http://www.metallica.com/products/metallica-through-the-never-soundtrack-cd.asp. Fans can also get more information on this release, future tour dates and more from the band on its official website, http://www.metallica.com and its official Facebook page, http://www.facebook.com/Metallica. King’s new web only series, Larry King Now, is much like his previous hit CNN show, Larry King Live. He continues interviewing some of the most important names in the news and world of entertainment in his show, which can be seen on Hulu and Ora TV. Colin Cowherd can be heard regularly on ESPN and ESPN radio on his show, The Herd with Colin Cowherd. It runs daily from 10am ET – 1pm ET. The former host of SportsNation, Cowherd also now hosts Colin’s New Football every Sunday morning at 9am. Cowherd shares his personal thoughts on football and life in general. Jeremy Schaap hosts ESPN Radio’s The Sporting Life and serves as correspondent for ESPN’s E:60. He also contributes to ESPN’s Outside The Lines, NFL Countdown, and College Game Day. His interviews and commentary are featured each week on ESPN’s flagship show, SportsCenter. More information on each of these shows and more is available online at http://www.espn.com and http://www.facebook.com/ESPN. To keep up with the latest sports and entertainment news and reviews, go online to http://www.facebook.com/philspicks and “Like” it. Fans can always keep up with the latest sports and entertainment news and reviews in the Phil’s Picks blog at https://philspicks.wordpress.com. The countdown is on. The Dan LeBatard Show premieres next Monday on as part of ESPN Radio’s new Fall lineup. LeBatard’s show will premiere Monday afternoon at 4pm on ESPN Radio affiliates across the country. The daily three-hour sports talk program will cover all of the major sports issues of the day. His current local Miami-based show will continue to be heard each day at 3pm ET. He will also continue to host ESPN2’s Highly Questionable. Along with himself and co-host Jon “Stugotz” Weiner, a series of rotating guest hosts will make appearances on the show. That list of guests hosts includes Bomani Jones and Greg Cote. They will appear on the show to share with LeBatard and Weiner their own experience in relation to the hot button sports issues. LeBatard recently sat down to discuss expectations for his new show. He was upbeat and just as funny as ever in his thoughts, noting, “I am very excited to take our show to a national audience for the two days before the suits come after us.” Along with being broadcast across the country on ESPN Radio, The Dan LeBatard show will also be available online at ESPNRadio.com and via the ESPN Radio app. Audiences with Sirius satellite radio can pick up the show at Sirius Channel 84. ESPN Radio’s newly revamped late afternoon/evening lineup includes not just the new Dan LeBatard show. It also includes Sedano & Stink at 7pm and The Freddie Coleman Show at 10pm. Sedano & Stink is hosted by Jorge Sedano and Mark Schlereth. More information on ESPN Radio’s new late afternoon/evening lineup is available online at http://www.ESPNRadio.com and http://www.facebook.com/ESPNRadio. To keep up with the latest sports and entertainment news and reviews, go online to http://www.facebook.com/philspicks and “Like” it. Fans can always keep up with the latest sports and entertainment news and reviews in the Phil’s Picks blog at https://philspicks.wordpress.com. 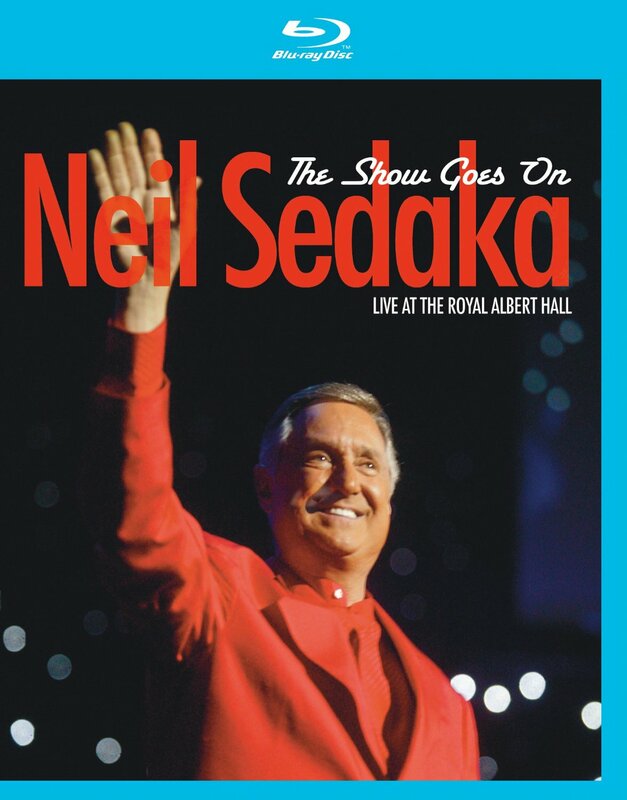 The newly released Blu-ray release of Neil Sedaka’s The Song Goes On: Live at the Royal Albert Hall is an excellent companion piece to its CD companion released in 2012. The Blu-ray completes the concert experience started with the double-disc CD release in question. It does so by giving audiences the visual recording that they otherwise had not had until now. And Sedaka’s fans will most definitely appreciate getting to not just hear but see him perform so many of his hits. The experience is completed not just through the main performance, but also through the bonus interview included with the new Blu-ray release of this concert. The interview sees Sedaka sitting down one-on-one with fellow songwriter Paul Gambaccini. The pair discusses Sedaka’s music, his career, and his influence in their in-depth interview. It’s both insightful and entertaining as the men make their way through many of the songs featured in the main performance. The main performance and the bonus interview do so much to make this new release a completion for fans of Neil Sedaka that had been hoping for a video companion to the already released CD recording of his performance from the U.K. One can’t look at this new release (or any live release) without examining said performance’s audio and video mix. Those charged with manning the boards both for the concert and for the final product put the finishing touch here on what is one more expert live recording from Eagle Rock Entertainment and Eagle Vision. The Blu-ray companion to the audio release of Sedaka’s live performance from the Royal Albert Hall completes the concert experience started last year. That’s because it is a video recording, and not just an audio recording. Instead of just hearing the performance, audiences get the full effect of the concert with this presentation. It allows viewers that were not there to make a full emotional connection both with Sedaka and with those that were in attendance for the taping. One prime example of that ability to connect lies in Sedaka’s performance of ‘I Go Ape.’ The excitement and energy on Sedaka’s face as he channels Jerry Lee Lewis can be felt even just watching at home. By direct contrast, the emotional depth of ‘The Hungry Years’ is sure to move even the strongest person to tears. That’s thanks again to being able to not just hear the motion in Sedaka’s voice, but also to see it in his face. One can tell that he really felt the music and the lyrics as he sang. These are just a pair of examples of how the show’s recording makes this concert experience complete. There are plenty more songs from which fans will be able to choose. They’ll be able to do so when they pick up this new Blu-ray themselves. The main performance included in Neil Sedaka’s new live Blu-ray is the main component of what makes the entire concert experience complete. There is more to consider in what makes it complete, though. Audiences will also appreciate the bonus interview between Sedaka and his songwriter friend Paul Gambaccini. The in-depth interview sees the pair discussing Sedaka’s own career, his music, and his influence on today’s pop music culture. Through the course of the interview, the pair shares some laughs when they bring up Sedaka’s history with Carol King. There’s also a humorous moment shared in the discussion over the song, ‘Stairway to Heaven.’ Sedaka laughs as Gambaccini asks him wouldn’t he love to have Led Zeppelin’s royalty checks for the song, even though they are two entirely different songs. That in itself raises another interesting discussion topic in the inability of songwriters to copyright song titles. Apparently, songs themselves can have a copyright, but not a song title. There is also a discussion on whether Neil would have the hungry years or the successful years. This is one of the more insightful moments shared by Sedaka in his interview, and will definitely have audiences thinking. Again, these moments and the interview as a whole collectively make the interview between the old friends make for one more way this Blu-ray makes Sedaka’s live performance from the Royal Albert Hall complete. Sedaka’s live performance at the U.K.’s Royal Albert Hall is a complete experience now thanks to the main performance and the bonus interview between Sedaka and friend Paul Gambaccini. There is still one more factor that fans and audiences should consider in the concert experience presented here. That factor is the show’s audio and video mix. Those charged with balancing both the audio and video are to be commended for the job that they did with the recording. This applies both to the original live recording and the final post-produced product. The audio and video presented here are just as impressive as any recording released by Eagle Rock Entertainment and Eagle Vision. Those with a surround sound home theater system will appreciate the mix just as much as those without one. From the high notes to the low notes and everything in between, every song is crystal clear both in terms of its video and audio. Along with the main performance and the bonus interview it brings everything full circle and makes this one more top notch live recording from Eagle Rock Entertainment and Eagle Vision. It is available now in stores and online. More information on this and other releases from Eagle Rock and Eagle Vision is available online at http://www.eagle-rock.com and http://www.facebook.com/EagleRockEnt. To keep up with the latest sports and entertainment reviews and news, go online to http://www.facebook.com/philspicks and “Like” it. Fans can always keep up with the latest sports and entertainment reviews and news in the Phil’s Picks blog at https://philspicks.wordpress.com. Lucky Diaz and the Family Jam Band return next Tuesday with the group’s third full length studio release. Lishy Lou and Lucky Too! The L.A. based five-piece’s new album comes only months after the release of its first ever EP, fantastico! It is yet another fun and original release from Lucky and company. Even more, it serves as more proof of what makes children’s albums just as viable as “grown-up” albums if not more so. That is primarily because much like so many other children’s acts, the band has managed to come up with a new sound on each of its albums so far. Even its sole EP bears a style and sound different from its previous pair of full length releases. It has continued that tradition with this album, too opting for something unlike any other children’s or grown-up act. Lishy Lou and Lucky Too! Is nothing like fantastico! or its previous full length releases. This time, the band takes listeners of all ages way back in time. It goes back to the golden days of broadcasting when radio was the only means of broadcast entertainment for audiences. It does this with its own family friendly “radio comedy.” For those that perhaps might not know, the days of radio broadcasting “saw” some of the greatest ever programming make its debut. And the “show” put on by Lucky Diaz and the Family Jam Band is just as entertaining as any original family friendly radio show put on during that great era. It might be a bit of a stretch, but the closest comparison that can be made in this era is perhaps to that of PRI’s (Public Radio International) “A Prairie Home Companion.” Those that are familiar with that landmark radio show are welcome to debate that comparison. That’s just the view of this critic. Perhaps for those that are not so familiar with the work of Garrison Keillor and company, maybe this review will be the catalyst to get said individuals interested not just in this new album, but also in “A Prairie Home Companion” and other public radio programs. The overall presentation of Lishy Lou and Lucky Too! is wonderful fun for the entire family. The jokes are groaners, obviously. That’s not a bad thing. Any grownup that allows themselves to do so will find them such groaners that they’ll laugh at them, much like those told by Svengoolie’s rubber chicken friend, Kerwyn (BERWYN!). Any Me-TV fans will get that reference. The jokes aren’t all that audiences will appreciate in this new record. The introduction of new characters Pockets, Time Travelling Tina, Milt, Alistair, and Chantal is a great touch to the record. New friend Pockets is a wonderful throwback to the late great Harpo Marx. He only talks through sound. And his skits are among the funniest on the entire album. Parents and children alike will love how he gets tricked into introducing a song all about him after having just gotten into a little argument with Alistair. It would be a surprise if this moment doesn’t leave listeners of all ages laughing to some extent. Lucky and company offer listeners of all ages so much enjoyment throughout the course of the band’s new album. It pays homage to old time radio with its overall presentation. This is wholly original and more than deserving of praise. It’s nice to see someone trying to develop a starting point to get today’s audiences interested in broadcasting’s golden era. This critic challenges anyone to find another act—children’s or otherwise—that has done what Lucky Diaz and company have done here. Of course for the homage paid to classic radio on this record, the band also pays tribute to the golden days of film, too. It does this through the inclusion of its own acoustic take on Meredith Wilson’s ‘Till There Was You.’ The gentle acoustic guitar set against the song’s vocals and the harmonica part will bring back fond memories of the Morton DaCosta directed 1962 classic, The Music Man. It is played with the same gentility as when it was sung between Marian (Shirley Jones) and Professor Hill (Robert Preston) as they stood on that bridge under the moonlight. For all of the funny moments offered to audiences throughout this record, this one moment stands out like a shining beacon unlike anything else included in its sequencing. And it makes the rest of the record that much better. For that matter, it makes one wonder what a full album of jazz covers would sound like form Lucky and company. Yes, that’s a hint to Lucky and company should they read this critic’s review. Lishy Loud and Lucky Too! has so much heart and so much substance to listeners, as one should be able to tell at this point. Whether one is familiar with the band or not, this is still a solid record from beginning to end. Its skits are wholly entertaining. Its cover of a jazz classic adds even more heart to the album. And with any luck, because of the overall presentation, it could even serve as a starting point to get listeners of any age interested in classic radio and the history of radio entertainment in general. So much more could likely be noted of this album. But that would entail aimless rambling for days. Keeping that in mind, the album will be available next Tuesday, October 1st. It can be ordered direct from the band’s website at http://luckydiazmusic.com/merchandise/lishy-lou-and-lucky-too-by-lucky-diaz-and-the-family-jam-band. 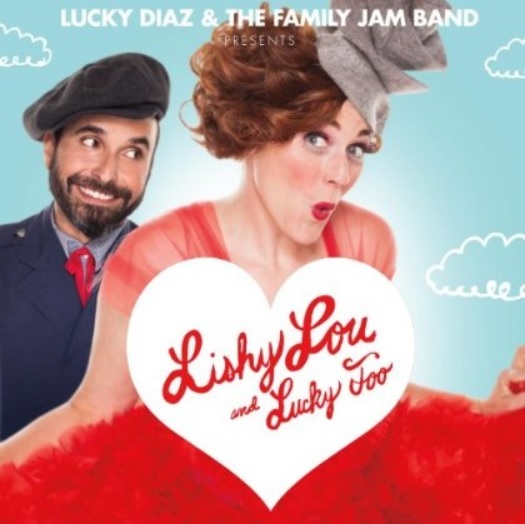 More information on this and all of the band’s albums is available online at http://luckydiazmusic.com, https://www.facebook.com/pages/Lucky-Diaz-and-the-Family-Jam-Band/182600891967, and http://twitter.com/Lucky_Diaz.